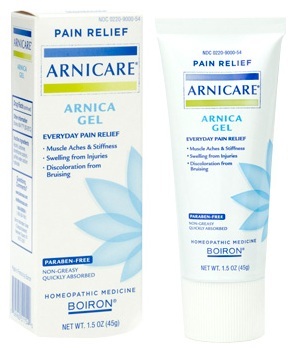 The main ingredient in Arnicare is something called Arnica Montana. "Arnica has grown to be one of the most popular homeopathic medicines throughout the world. It is trusted by professional athletes to soothe sore muscles, by prominent cosmetic surgeons to relieve post-procedure pain, and by savvy moms to treat playground bumps and bruises. Arnica can also be used to relieve stiffness from flying or long-distance driving. And anyone who bruises easily will appreciate Arnica’s ability to reduce bruise discoloration." I was actually introduced to the wonders of Arnicare many years ago by my best friend (and former college roommate) Melanie. She swore by the stuff, and when I got a HUGE bruise on my leg - I had lost a fight with a futon - she said I needed to get some. This bruise hurt like crazy and it was gigantic, taking up almost the entire region from my knee to my calf, and I would've done anything to get rid of it and the aching pain. So I bought my first bottle of Arnicare...and never went back. Not only did it ease the pain, but the bruise was gone in record time. I also bruise pretty easily, but all I need to do is to dab on a little Arnicare a few times a day and it goes away. I now make sure my house is equipped with Arnicare Gel at all times! Any family with small kids, any person who is accident prone, anyone with sore muscles...really everyone needs Arnicare. One very lucky reader will win a bottle of Arnicare Gel!! And there’s another great opportunity for you to win free Arnicare products. Boiron Homeopathics is currently running a "Summer of Arnicare" Sweepstakes on the Arnicare Facebook page through June 30. Participants have the chance to win a great summer health prize pack valued at $250! 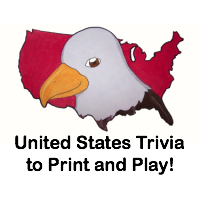 Visit www.facebook.com/ArnicareUSA for your chance to win, and share it with your friends! We were sent a bottle of Arnicare Gel free of charge for the sole purpose of this review; no other compensation was received. All opinions expressed are my own. I was just introduced to this stuff 3 days when my foot/ankle got closed in a very heavy glass door. I was absolutely amazed at how it helped. And I had no visable bruising the next day either! I am a believer! Thanks for the chance to get some! So sorry, forgot to put what I liked on that site. :( I've used the calming stuff on my animals when they were going to the vet. Works wonders! Arnica montana is the Latin name for a perennial that grows 1 to 2 feet tall with bright, yellow daisy-like flowers that appear in July and August. I learned that Arnicare is effective in reducing swelling and bruises. I learned that Arnicare is SAFE FOR CHILDREN! We often overlook this kind of thing, thinking, "Why would a kid need something for muscle pain?!" As a mom to two boys who have experienced the real pain of growing, I love knowing that there is more out there (and a safer alternative to) than Tylenol to help them through it. I learned that the active ingredient has been used as a natural pain reliever.